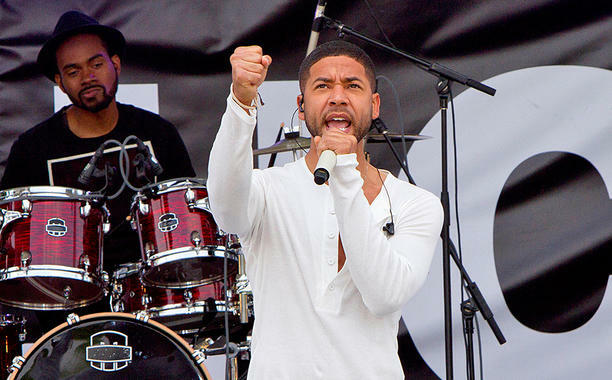 Jussie Smollett who plays as "Jamal Lyon" in the Empire Tv Series, is set to leave the show. Smollett hinted at his departure via Twitter on Thursday. “I’ve thoroughly enjoyed my time w/ @EmpireFOX. I love you all. Truth. Time 2 make a record & some movies. #Empire,” he wrote, ending the tweet with a rose emoji. The tweet followed up after Wednesday’s episode of Fox’s hit music drama, during which Smollett’s character "Jamal Lyon" was shot and rushed into surgery. The quest is.. Is He Really Leaving Empire?! Or its just a plan to keep fans attention as the show is heading to its season 2 finale next week. The actor seemed to confirm that his time on the Fox hit was up, talking about his tenure on the series in the past tense and referring to his future, unrelated plans. What Do you Think..!! Is He Really Leaving Empire?! Or its just a plan to keep fans attention as the show is heading to its season 2 finale next week.